We would like to thank you for allowing us to care for your child and look forward to many years ahead. As you know children grow up fast! Please enjoy the summary of pediatric milestones, if you have any questions you may call the office or speak with the physician at your next well child appointment. If you have an address, telephone or insurance change please download the update form below and bring the completed form with you to your child’s next appointment. In addition, please notify the front desk when signing in if you have any changes to your address, telephone or insurance information. Please visit our preventative care visits section for more valuable forms that you may download. If you are traveling out of the country please visit the follow link Centers for Disease Control for the most up-to-date vaccines that may be required. Please be aware some vaccines are required to be given by a special travel clinic. You may call the office if you have any questions. Our pediatricians are strong supporters of the guidelines established by the American Academy of Pediatrics, which include the recommendation of vaccines. At your well child’s exam the physician will be happy to answer any questions or concerns that you may have. To help with scheduling the proper time for your child’s well exams please notify the front desk when booking your appointment if you feel you may need an extended period of time with the doctor. If you are scheduling a physical for sports please be aware these appointments are scheduled as a well exam. In addition, many schools require physicals to be after April 15th. Please refer to the schedule of well exams below to help plan your child’s preventative care needs. If you have a questions about vaccine please take a few minutes to watch the following video!  Edgewood Center Pediatrics supports immunizing all well children for childhood diseases, according to the American Academy of Pediatrics and Centers for Disease Control guidelines. Currently we cannot accept new patients transferring into our practice who are unimmunized or families of patients who are unwilling to begin the immunization process. We continue to work diligently with our families to complete the immunization schedule. Sick visits are scheduled by calling the front desk and asking for an appointment. We encourage you to familiarize yourself with our website as many of your questions may be answered. If you do have additional medical questions our triage department is available during normal office hours to assist you! Although we are sad to see you go we understand when patients need to move on. Please use the following form to request a transfer of records to another doctor. There may be a fee involved with the request, and the office manager will contacting you regarding the request. You may either fax the form to our office at 248-360-0830, mail the form into our office or drop the request off to our front desk.